Then you come to the conclusion that it converges to 1. As every CS students knows, the order of evaluation matters. If you don’t specify the order of evaluation, your expression is not well-defined. 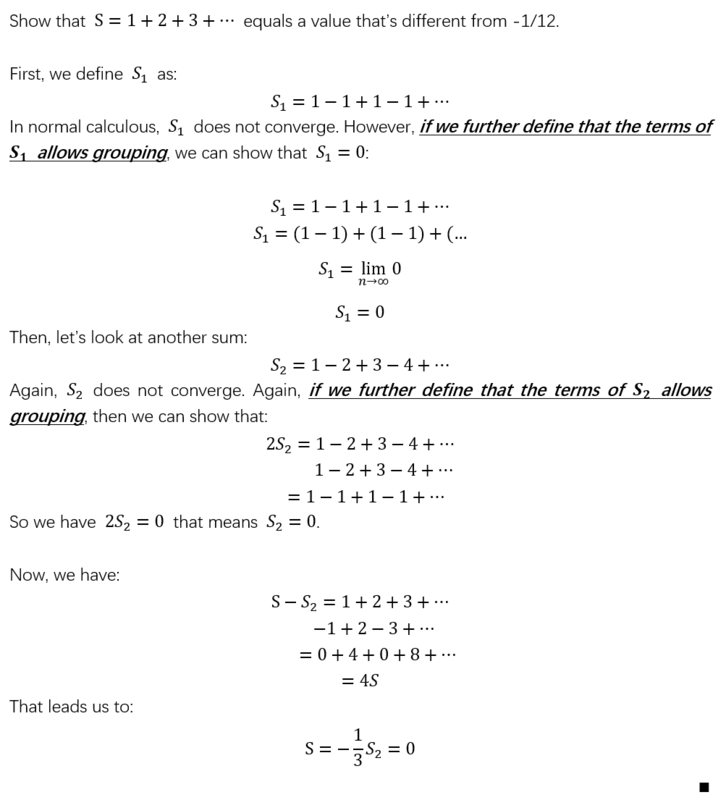 As for 1+2+3+4+…=-1/12, the popular proof rely on the evaluation of another alternating series, 1-2+3-4+……, which does (not surprisingly) not converge.